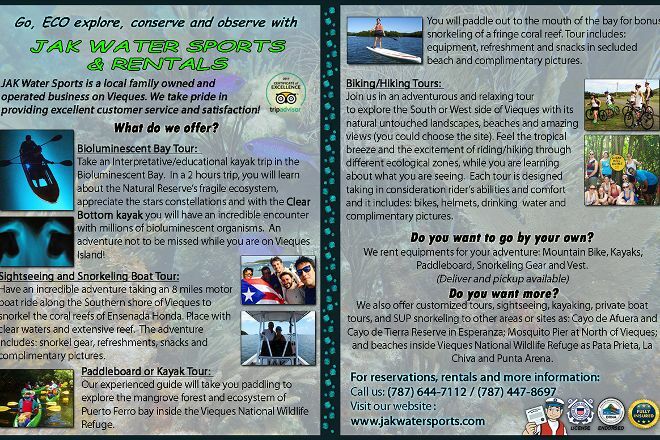 A family owned and operated business, JAK Water Sports and Rental helps visitors experience the natural environment of Vieques, whether via guided tours or rental equipment. 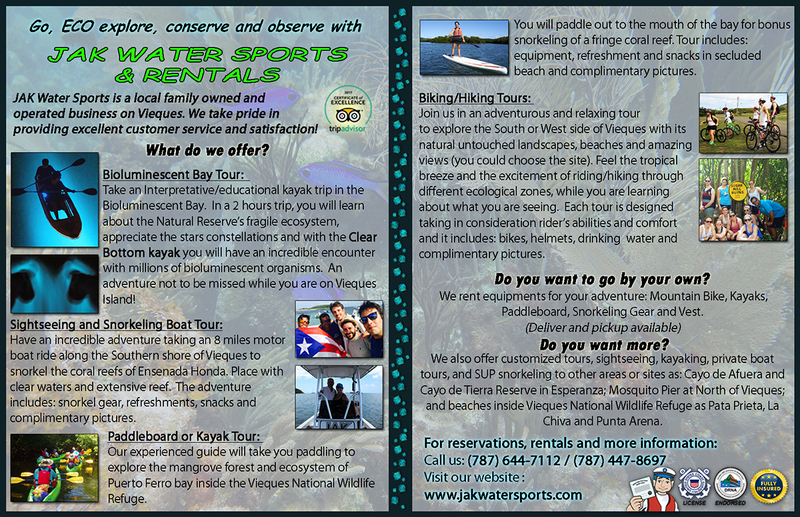 The operator provides paddleboard, kayak, and motorboat snorkeling tours and rented gear for intrepid adventurers. Call in advance to find out more about adventure tour schedules and rates, and explore the website for find further details and other practical info. Use our Isla de Vieques day trip planning app to add JAK Water Sports and Rental and other attractions to your Isla de Vieques vacation plans.